Lime (from Arabic and French lim) is a term referring to a number of different citrus fruits, both species and hybrids, which are typically round, green to yellow in color, 3 to 6 cm in diameter, and containing sour and acidic pulp. Limes are a good source of vitamin C.
Limes are often used to accent the flavors of foods and beverages. Limes are grown all year round and are usually smaller and less sour than lemons. In cooking, lime is valued both for the acidity of its juice and the floral aroma of its zest. It is a very common ingredient in authentic Mexican, Vietnamese and Thai dishes. It is also used for its pickling properties in ceviche. The use of dried limes (called black lime or loomi) as a flavoring is typical of Persian cuisine and Iraqi cuisine, as well as in Gulf style beharat (a spice mixture that is also called kabsa or kebsa). Lime is an essential ingredient of any cuisine from India, and many varieties of pickles are made, e.g. sweetened lime pickle, salted pickle, and lime chutney. Lime leaves are also an herb in South, East, and Southeast Asia. Lime is frequently used to add flavor to cold and hot drinks, including water, tonic and other cocktails. To prevent scurvy during the 19th century, British sailors were issued a daily allowance of citrus, such as lemon, and later switched to lime, which was not as effective at preventing scurvy but was easier to obtain on Britain's Caribbean colonies. It was later discovered that the greater effectiveness of lemons derived from the 4 - fold higher quantities of vitamin C lemon juice contains compared to the West Indian limes used by the British. This was initially a closely guarded military secret, as scurvy was a common enemy of various nation's navies, and being able to be at sea for lengthy periods without contracting scurvy was a huge military benefit. The British sailor acquired the nickname of being a Limey because of their usage of limes. Lime juice is the juice of limes (citrus). It may be squeezed from fresh limes, or purchased in bottles in both unsweetened and sweetened varieties. Lime juice is used to make limeade, and as an ingredient (typically as sour mix) in many cocktails. In India, the lime is used in Tantra for removing evil spirits. It is also combined with Indian chillies to make a protective charm to repel the evil eye. Furthermore, it was believed that hanging limes over sick people cured them of the illness by repelling evil spirits lurking inside the body. I love guacamole dip. What is your favorite dip? Leave a comment, love hearing from y'all. In bowl, mash avocados, lime juice and onions, mix well. Stir in salt, pepper, cilantro and tomatoes with chilies. Enjoy! one of my favorites! Love this! 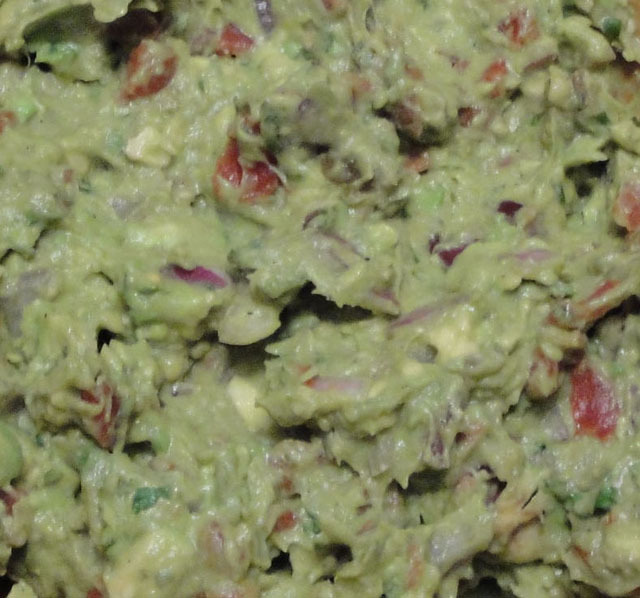 Can't go wrong with guacamole dip. I just love the stuff. Yummy Christine! I think I should invest in lots of lime. Definitely one of my favorites. Yum! That guac is a lovely color. And lime definitely perks it up and gives it some liveliness. We love guacamole! I didn't know much about lime - thanks for educating us!